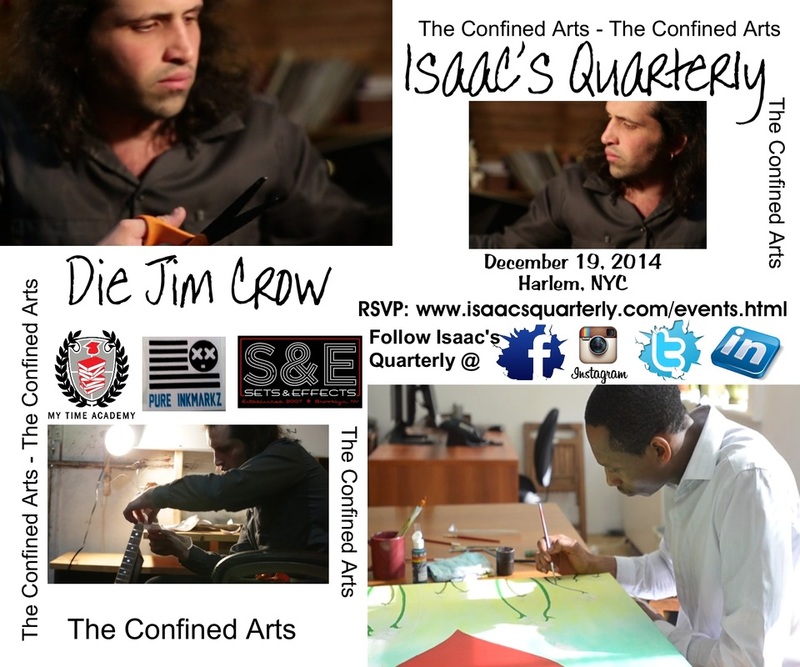 THE FIRST EDITION OF THE CONFINED ARTS WAS A SUCCESS!!! 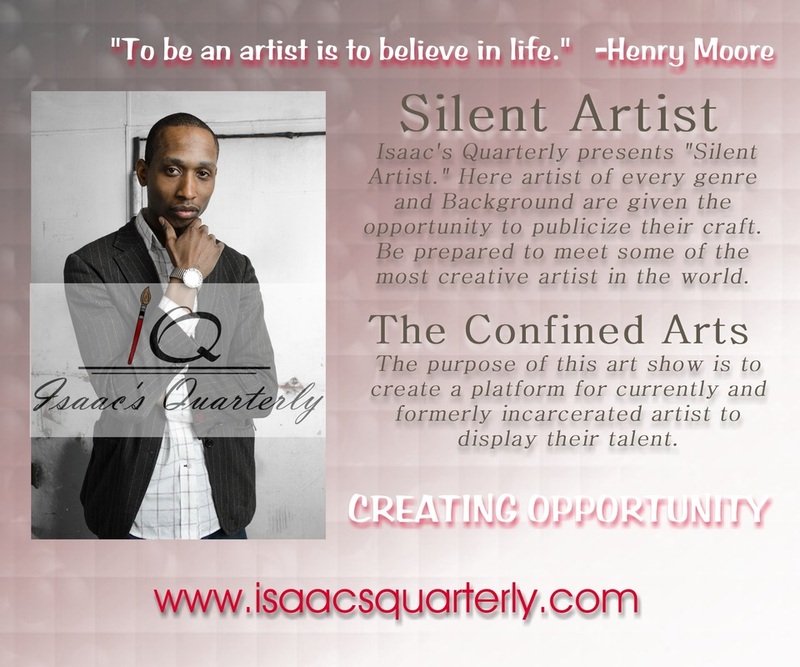 Isaac's Quarterly has successfully began building a secure platform for Artists, who have in the past been excluded from all Ideas of creativity, exiled from the art community and are not respected for the special talents they possess. 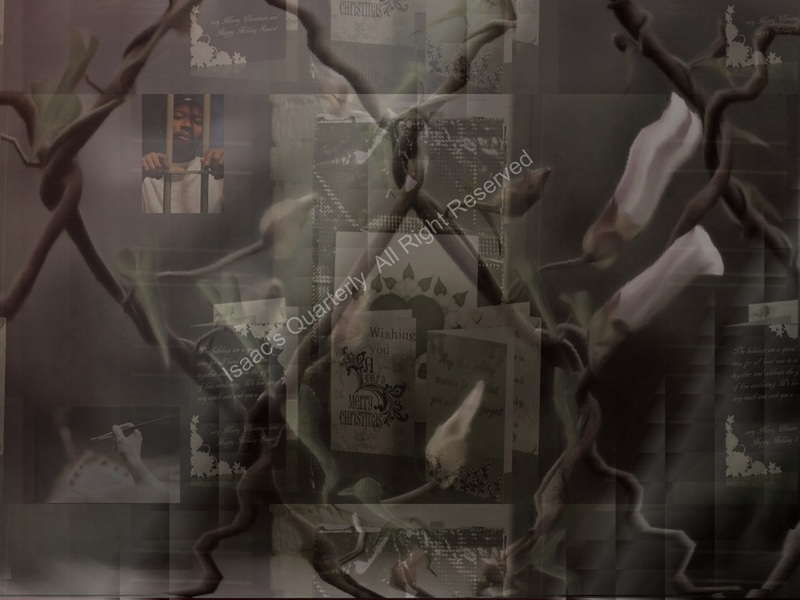 We as Artists, we as activists, we as human beings and we as a silent community would like to introduce the world to the The Confined Arts. 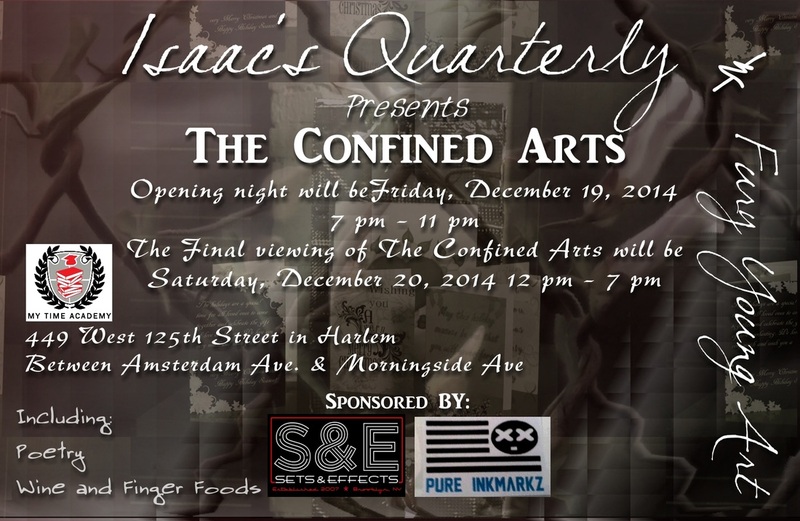 On December 19th & 20th of 2014 in Harlem was the first edition of The Confined Arts show. 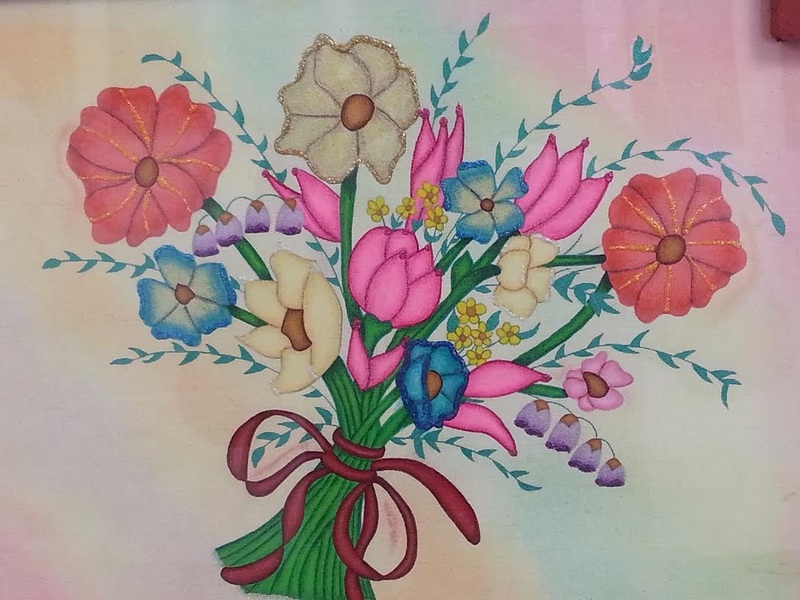 Fine art and poetry from currently incarcerated artist, formerly incarcerated artist and those artist working in and around prison from all over the country was displayed. 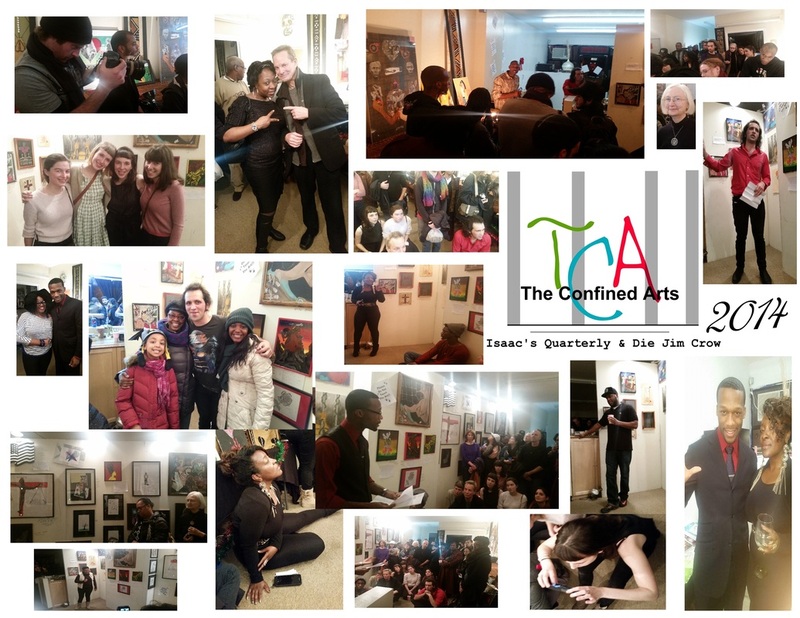 An extremely diverse audience including Tony Award Winning Actor Bill Irwin and Teacher's College Professor Yolanda Ruiz came to support these amazingly talented artist. 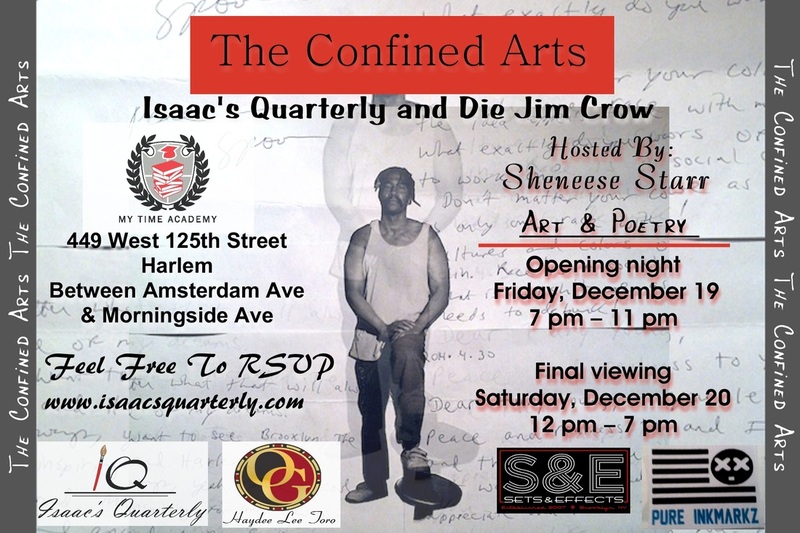 The Confined arts is a space for artists who are in prison, formerly incarcerated, or doing work in or around the prison system, to showcase their artwork.